Minatoso is the inn, located in Kyoto Prefecture 30mins away from Kinosaki Onsen by car, renowned as its unique cuisine using local fresh seafood and open-air hot spring bath with a view of Japanese. 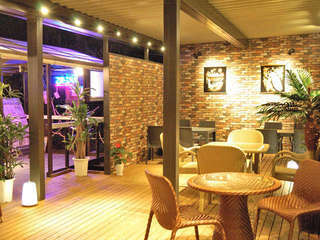 We are located in where you can see the spectacular view of Kumihama and Shotenkyo beach. 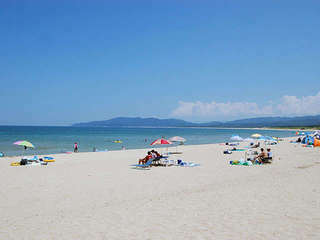 It is only 3-minute walk away from the bathing beach. In order to deliver the best hospitality to our guests while their staying, we make sure that our guests feel comfortable in our inn. As there is an elevator equipped in the new building, it is easy to transport between rooms and other floors. 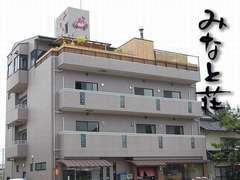 There is Kappo Sushi restaurant “Hamakou” located on the first floor of the new building. They serve original cuisine using fresh fish made by the owner. Take our natural hot spring bath peacefully to get your tired body away. Enjoy your relaxing bath time and our seasonal fresh Tango seafood. Both indoor and open-air baths separated by gender. 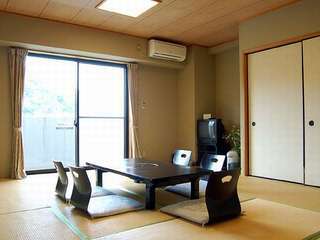 The natural hot spring "Shotenkyo / Kirara no yu" that is said to be effective for fatigue recovery, and has been used as medical treatment. 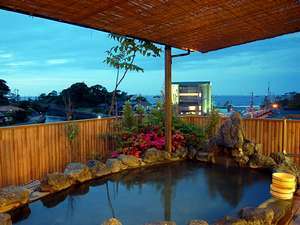 Outdoor bath with a spectacular view of the Japan sea, Shotenkyo beach and a cove of Kumihama Bay. Avairable: From 15:00 to 10:00 in the morning. there is an elevator equipped in the new building, it is easy to transport between rooms and other floors.